Window Tinting is one of the greatest investments for your car. All window tint, no matter how dark. cuts out 99% of UVA and UVB rays. There are the same UV rays that are responsible for interior fading, not to mention how harmful they are to your skin that according to the American Cancer Society is the leading cause of skin cancer. So if you want to keep your interior and skin protected, choose window tint. Solar Solution Window Tinting offers computer cut window tinting for picture-perfect, accurate tint fitting every time! Manufacturer’s lifetime limited warranty* with protection against film fading* Certain restrictions apply; contact a manufacturer’s representative or see an authorized dealer for manufacturer’s limited warranty details. 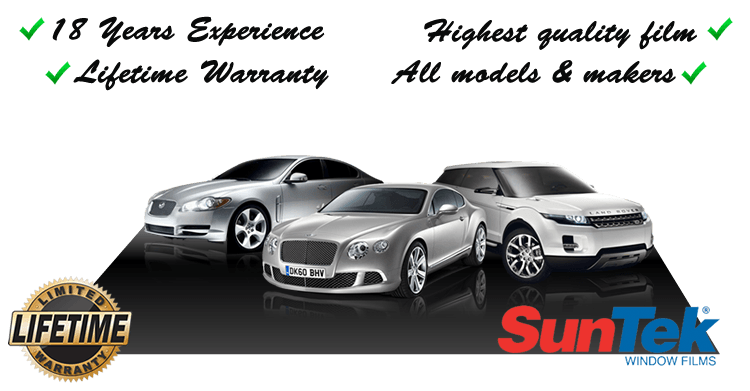 Why use Paint Protection Film on your car? Paint protection film, or “clear bra” as it is sometimes known, is one of the best ways to preserve the showroom quality finish on your vehicle. 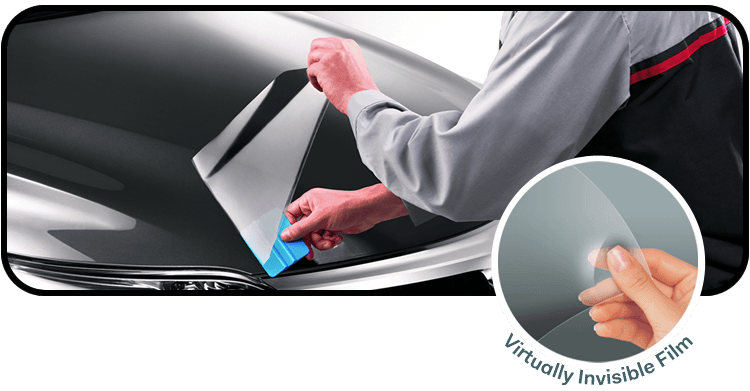 The virtually invisible film will keep your vehicle looking newer longer without changing the design features or color. Preserving the finish of your vehicle with paint protection film keeps your vehicle looking newer longer, and can enhance the resale value of your vehicle in the future.